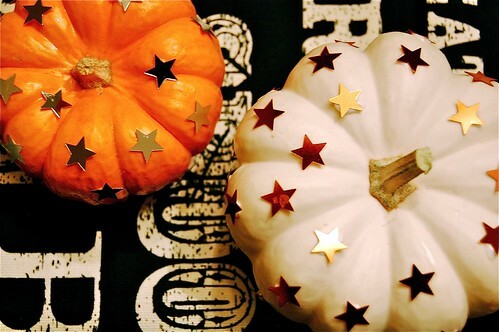 What a simple and lovely way to spruce up mini pumpkins! I LOVE this idea!! They look fantastic! These are so cute – love the sequins! BEautiful and I love all things sparkly! 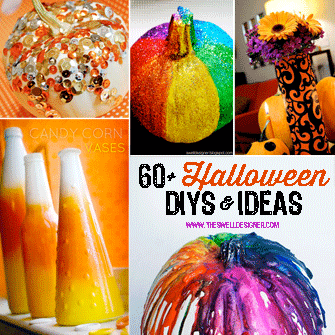 I love non-traditional Halloween goodies, and I’m totally crushing on these! Oh boy! I love this! LOVE bling! 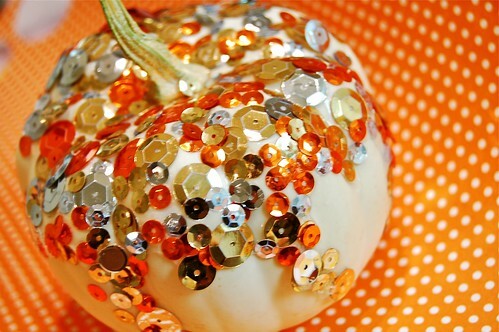 I love me some bling with my pumpkins! That sequined one is gorgeous! My dd loves these!….she loves “sprinkles” (her word for almost anything that sparkles…lol) I would love for you to link up to my DIY Halloween Party & Tutu Giveaway! LOVE!!!!! Definitely going to decorate mine this year like this! Last year I spent wayyyyy too many hours gutting out & de-gooping my pumpking, then carving it…I don’t have the time for that these days. These will be great!!! Thanks! I LOVE these both! Even though I’m a huge star fan, I totally am gaga over the sequins. I had considered sequins myself but only have the standard red, green, blue and silver. Not anywhere near as pretty. 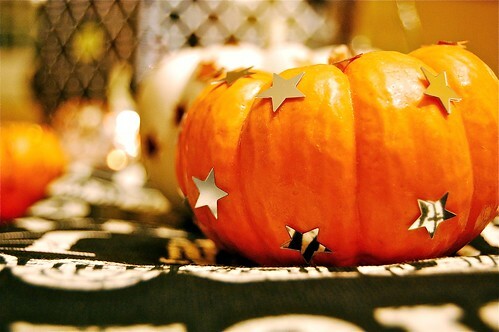 I featured these gorgeous pumpkins on my blog SweeterThanSweets today. 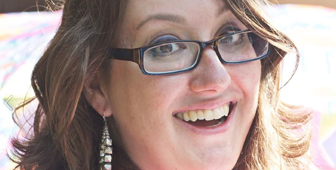 Feel free to grab a Featured On button from my sidebar. Thanks for sharing!